Lower Saxon is a state located within the northern portion of Germany. A varied climate, stunningly untouched landscapes and historic villages are a few of the attractions to be enjoyed during any camping holiday. Always contact LUX-Camp to learn more details about what this beautiful destination has in store. Why Should I Camp in Lower Saxony? Access to the beaches of the North Sea. A region rich in culture and history. Quality luxury camping sites abound. Northern Saxony is only a short distance from most regions within the United Kingdom. Lower Saxony can trace its history back to the days of the Germanic Saxon tribes, a heritage which is reflected in this destination’s name. This has provided the region with a unique cultural heritage; similar to other states within Germany. 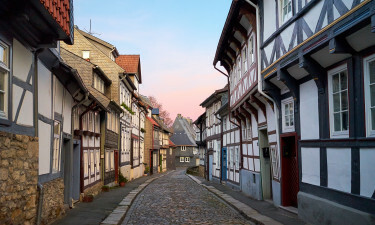 Lower Saxony is known for its unique cuisine, its selection of beers, a wonderful display of historic architecture and the grandeur of nature found nearly everywhere. Südsee-Camp is by far one of the most popular holiday camping sites to be found here. With an impressive 1,508 pitches, it is truly massive in size. Mobile homes and caravan tents are supplied to all guests, who can enjoy 90 hectares of space, offering modern conveniences such as wireless Internet, waste disposal facilities, on-site shopping and 88 private washing cubicles. Activities including swimming, miniature golf, tennis, table tennis and bicycle hire are all possible at this luxury camping resort. The beaches to be found here are quite clean and during the summer, visitors will enjoy a quick dip in the cooling waters. 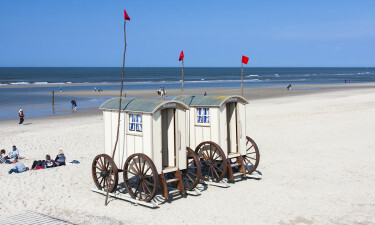 A handful of popular locations include Cuxhaven, Dorum, Norderney, Juist and Butjadingen. Nature lovers should never miss reserves such as Oker Valley, Seeburger See, Oderaue and Weper. From thick pine forests to rolling prairies, such excursions will leave lasting impressions. The sheer size of Lower Saxony affords a number of stunning attractions for the entire family. Hanover Zoo and Serengeti Park are ideal for anyone who hopes to view exotic animals not native to northern Europe. History buffs can visit the German Tank Museum and the eclectic Lower Saxony State Museum. Examples of Saxon architecture can be seen at Marienberg Castle, Wilhelm Busch Museum and Dankwarderode Castle. A visit to Wurmberg in the winter provides excellent skiing opportunities. 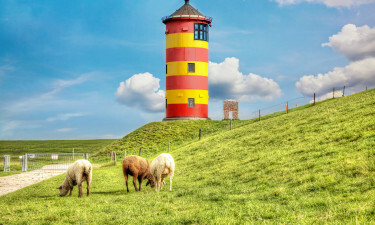 Lower Saxony is known for its selections of fish and meat; particularly herring, mackerel, kohlwurst and a sausage speciality known as Braunschweiger. Vegetables such as potatoes and asparagus are quite common. Those with a healthy appetite will not be disappointed. Meals can then be washed down with local ales such as Brunswick Mum and Goslarer Gose. LUX-Camp is happy to provide further information in regards to this unique destination.